The message shown says it's due to suspicion of phishing. I do not use any illegal practices. I've just finished my first ever made order form as taught by a educational video and I believe if I somehow violated the rules of this site it was completely unknowingly and entirely by mistake. I haven't used the form in any other site as I don't have my own, so I really don't understand what has just happened. I am trying to educate myself about all these digital techie stuff and apologize for my illiteracy. Will you please explain which rule was violated so that I do not make the same mistake again and would it my account be recovered? Your account was autosuspended by our anti-Phishing system. 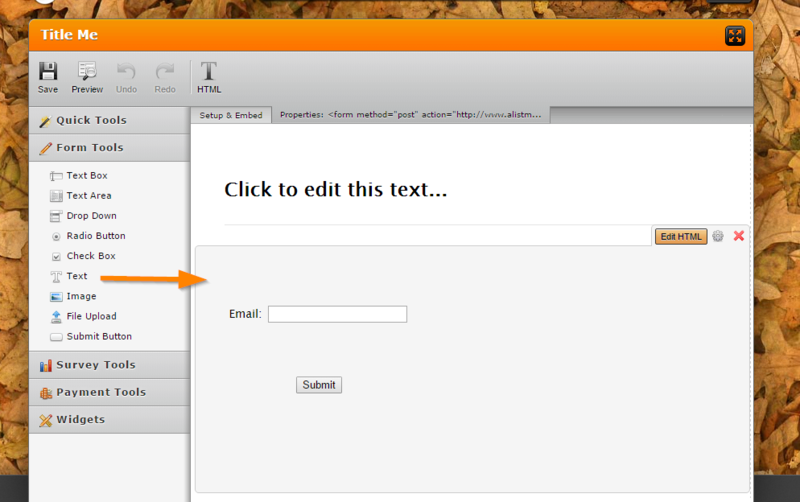 I believe this is because of the form titled "Title Me", it has an input and submit button created on a "Text" field. This is identified by the system as suspicious because "Text" fields are usually used to display static text and not as a way to have input fields and a submit button. The form builder has a lot of input fields that you can use and has a dedicated "Submit" button. I have deleted that field and re-activated your account. Please do read our "Terms" of use, especially the "Phishing" section to avoid being autosuspended in the future.